Voice-activated assistants like Amazon Echo have become celebrities of the smart home movement. Indeed, they offer some neat services. But, if we measure the value of these gadgets on how well they mirror a human assistant, we can see the shortfalls of the former. Yes, the voice assistant, like its human counterpart, can respond appropriately in some cases to a user's verbal requests. But, unlike a human assistant, it does not and cannot proactively meet the user's unspoken needs. Want to learn more about how AI is transforming how smart devices entertain and increase the comfort of their users? 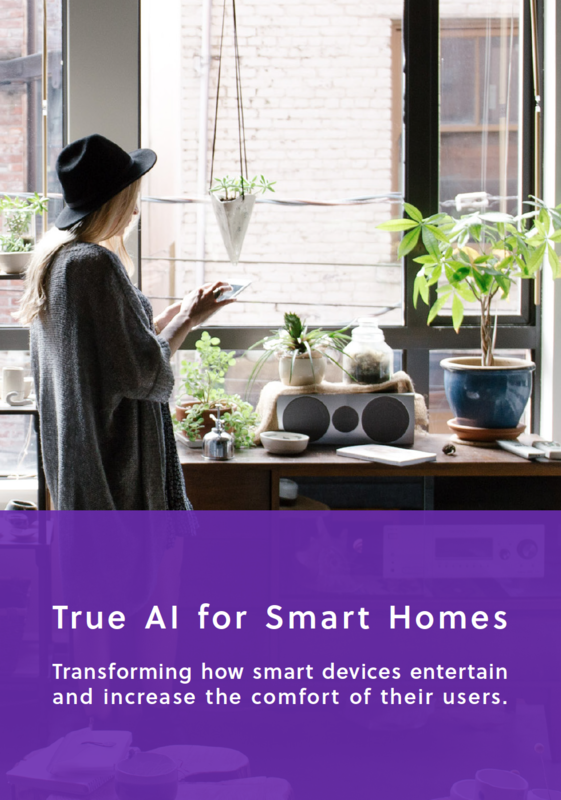 Download the True AI for Smart Homes brief today.